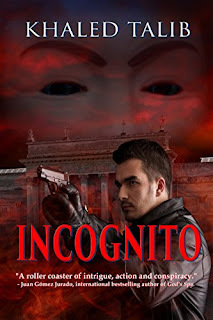 When I set out to write INCOGNITO, I was told by industry people it was impossible to kidnap the Pope. You can't just write a novel and create a scene where he gets kidnapped. It has to sound believable, even though the premise is fiction. "The premise of such a kidnap is really darkly entertaining and sometimes I think almost highly likely!" "Dark" seems to be the keyword as another reader left a review on Goodreads that reads, "Definitely the darkest intellectual thriller novel I've read this year!" Incognito is a story about religion and politics, particularly Islamophobia, Christianity, the refugee crisis, the sudden rise of fascism in parts of Europe and NATO's fear. The protagonist Ayden Tanner does not believe in God. But he is assigned to find the Pope who is missing. The question is, how much effort will he put in this mission? Will he risk his life to save someone who has nothing in common with him?